Share your favorite camping story! Just leave a comment the bottom of this page. 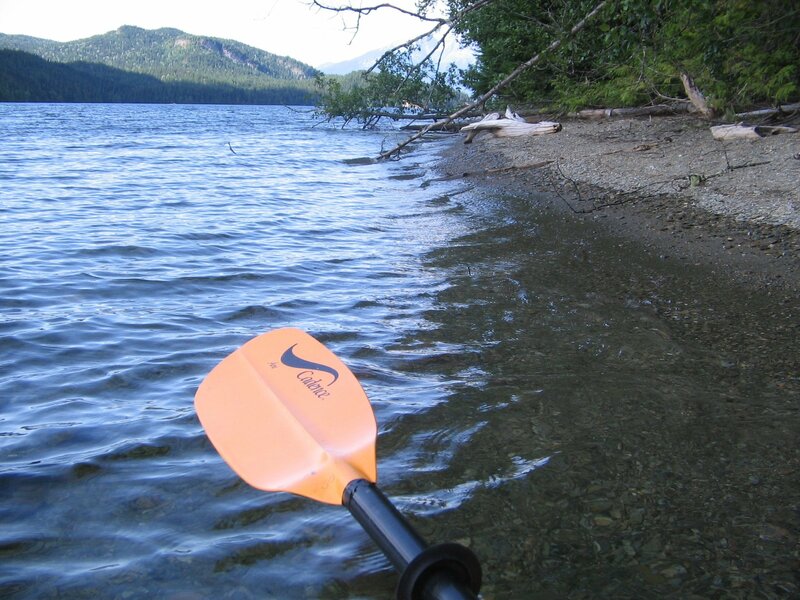 I was at Christina Lake BC in July (2009) and the warm water, large camp sites and great campground managers makes it a top destination for family camping in my books! 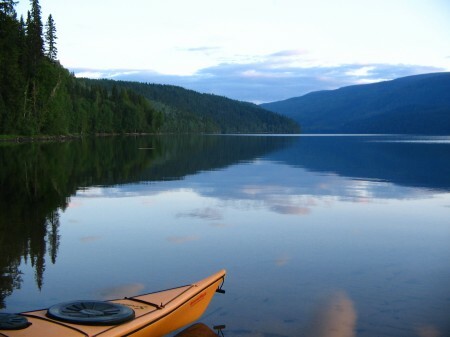 The Best Campsite I have been at in a remote area is one that I have Kayaked to in Wells Gray Provincial Park. After kayaking for approx. 10 km up Clearwater Lake from the main boat launch area, we came to the “boat access only” Bar View campsite. The site was a paradise. We enjoyed the long sandy beach on the pristine wilderness shoreline. The second day we took the kayaks to Divers Bluff campsite and Eagles Lookout Trail across the lake. Divers Bluff is a fantastic site but does not have the nice sand to enjoy. I biked the San Juan islands last summer. Great trip. There’s a little place in Montana called Fish Tail that has one of the most peaceful and beautiful spots to camp in. I really enjoy going to Sugar Lake with friends. I also love camping, but have only been once! However, that one time we did go we went to Mussell Beach (just outside of Tofino) and it was beautiful! So private and peaceful! Hey Courtney, I have been wanting to learn more about Tofino so your post encouraged me to watch some hiking video and get more camping info on outdoor adventure around Tofino and actually put a short post up for Tofino hiking and camping – Thanks a lot – hope to hear more about Tofino! I have many favourites, but a story that comes to mind is from 1975 when my husband, Dave, was still alive & we were living in Whitehorse, Yukon. We got our 2 young children set up at a friend’s home, headed out to Snafu/Tarfu Lakes on a beautiful Indian Summer September day. Tent & cooking gear was up & ready. We did a bit of fishing. Off to our sleeping bags, feeling like we were on our second honeymoon. We woke up in the morning to a beautiful glistening white blanket of snow over our campsite. Magical. I love the outdoors, so i go camping several times each year. My favorite destination, so far is, Mt. Robson. You can hike as long as you like, it is fitting for most hikers. The closest hike in campsite is 2 hrs and the furthest campsite which i took, was an 8-9hr hike in. The view is spectacular, tons of waterfalls, challenging trail at points, amazing sites to see, tons of glaciers to view and met some really nice people. Tunkwa Lake backcountry horse camping lots of trails and excellent corrals, not to mention the great bird santuary. Very relaxing not to mention the wild horses. What a sight to behold. I love winter camping… and I always bring my dog with me. Northern Minnesota is a great place with dazzling visuals on the miles of frozen lakes and trails it truly is a one of a kind experience. I guarantee you guys a perfect trip and no regrets at all. Awesome! My son uses a Hennessey Hammock a lot. He has to get the winter padding for it. What type is yours? New Mexico is not the first place that will come into your mind when you think of camping, as this place is mostly known for being dominated by arid country and deserts. However, if you go camping in this part of the country, you will be surprised to find that it offers wonderful outdoor experiences. In the southern part of the State, desert camping is all the rage, while in the north, green highland forests abound the place. I actually love primitive camping. It’s like going back to the basics and simplicity of life. It’s just you and nature communing together as it is suppose to be if man had not revolutionized the way of living. You can rest easy, relax, no need to worry of any household chores. All you do is eat, sleep and be merry. That is how life is suppose to be.